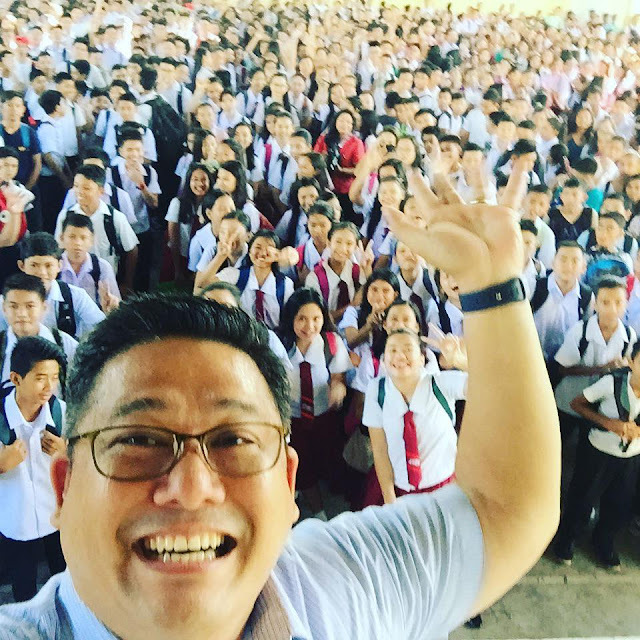 Random Thoughts of Gil Camporazo: K to 12 is more than just..
K to 12 is more than just.. Innovations don't always have to be big. At the school level, there are many things that make learning happen. 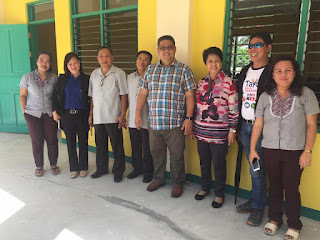 As we visited Naval School of Fisheries in Biliran yesterday, we had the chance to chat with some teachers about what they did during school opening. 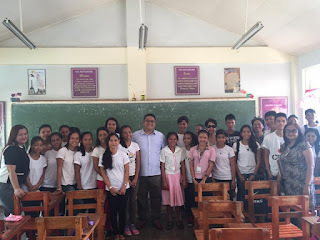 Mr. Albert Sucalip, a teacher previously from a State University, said that the Daily Lesson Logs proved very useful for him and that the class was quite engaged for their first day. He was already discussing operations on algebraic expressions on Day 1 with his students enrolled under STEM. 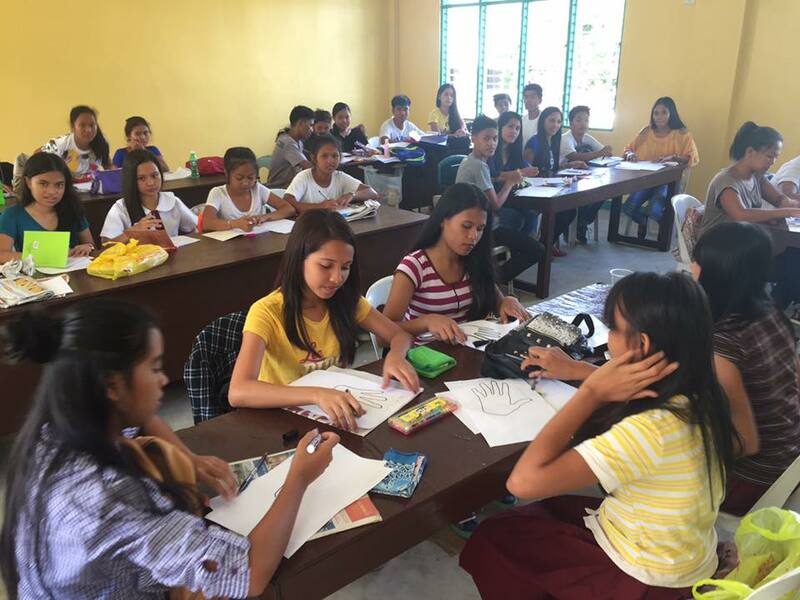 In San Roque Elementary School in Padre Burgos, Southern Leyte, their morning physical exercise was also a math exercise. 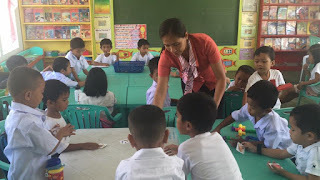 The multiplication table was recited as they went through routine calisthenics. With the help of donors, the school was given a major facelift. 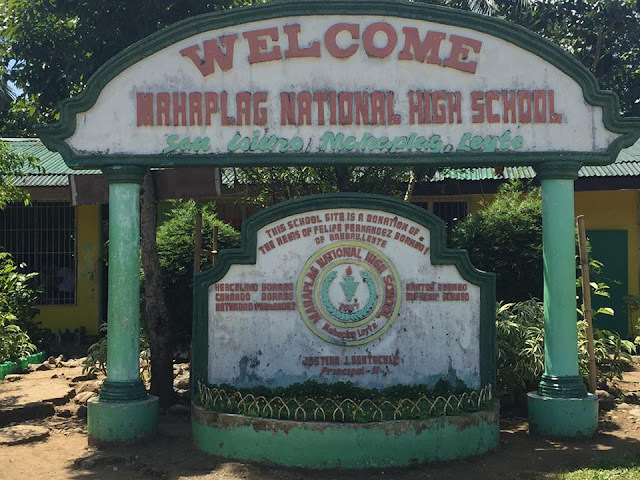 The school makes sure that it maintains the facilities and keep it clean and conducive for learning. Ms. Elma Duterte had her curriculum guides for Gr 5 tabbed and lesson plans in order. In Mahaplag National High School in Leyte, teachers and facilities were complete. They utilized the scheduling tool developed by Central Office according to their requirements. Teachers were revising the lesson logs and making innovations to make it more appropriate for their student profiles. Schools become beacons of learning when school heads, teaching and non-teaching personnel are empowered to make miracles happen. K to 12 is not just about adding two years. It is also about transforming the organization to be more learner-centered. It is not just about basic inputs. It is also about building a culture of optimism and innovation. It's not just about government. It's also about getting communities and schools to work together for common education outcomes. Let us all build towards success and face the challenges collectively as one nation. may I authorize to take one of your picture for me to use on my book cover page?